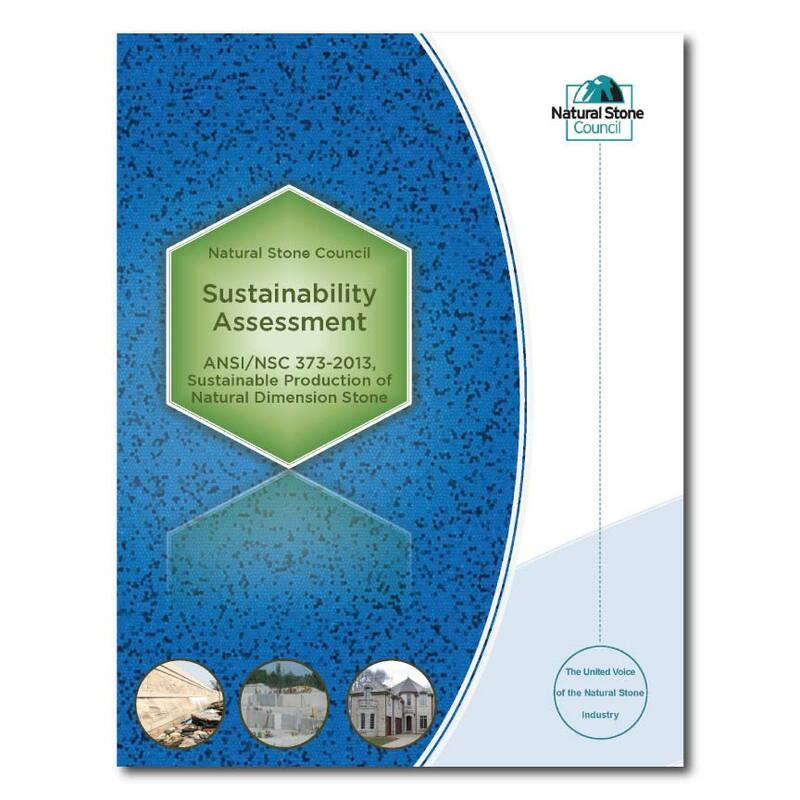 This American National Standard, ANSI/NSC 373 Sustainable Production of Natural Dimension Stone, has been developed as part of the ongoing efforts of a number of interested parties to document and improve the sustainability profile of natural dimension stone production. Stakeholders involved in developing the Standard included stone producers, fabricators, end users such as architects, state agencies responsible for environmentally preferable product procurement practices, academics, and other interested parties. The purpose of this Standard is to recognize and drive sustainability practices in the natural dimension stone industry. The Standard establishes a set of well-defined environmental, ecological, social responsibility and human health metrics through a multi-stakeholder, science-based approach recognized by the green building movement as an indicator of leadership in sustainability performance. 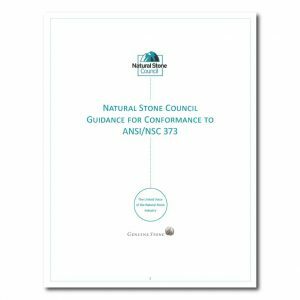 The Standard provides an important opportunity to educate key members of the design and building professions, end users, government, and environmental advocacy groups about the production of natural dimension stone products. As a rating system this Standard creates a mechanism that differentiates natural dimension stone companies that demonstrate environmental leadership through commitment to sustainable operations and continued innovation. 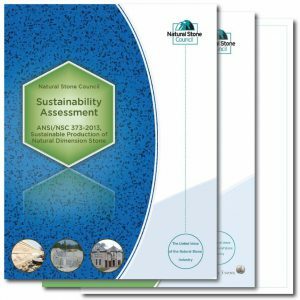 This Standard considers national and international environmental, ecological, human health, and social responsibility requirements for stone quarrying and production. The standard applies to all processors of natural stone, from quarry operations through final stone fabrication, and is intended to allow for both domestic and international market participation from natural dimension stone producers. 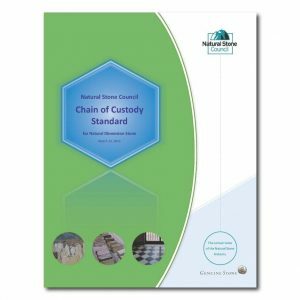 The quarrier and processor will need to obtain the standard, chain of custody and conformance document in order to pursue certification. The certifier will not provide these.